The CMS released a sweeping final rule (PDF) Monday afternoon that solidifies the Affordable Care Act's coverage policies for 2017. 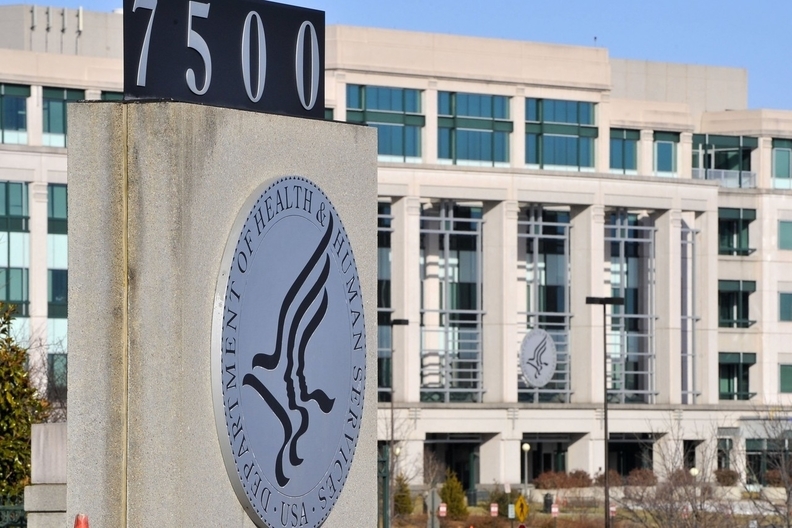 The agency proposed tight network adequacy provisions and standardized health plan options in November, which fueled antipathy from the health insurance industry. Monday's rule relaxes those aggressive proposals, a move that likely will raise the ire of consumer groups that have pushed for stronger insurance protections for patients. It does, however, include some victories for transparency advocates. The federal government, for example, will now have to publish all changes to premium rates, not just increases that are subject to review. The rule addresses several other issues, including surprise medical bills and the 2017 open-enrollment period. Health insurers that sell plans on the federal marketplace put pressure on the CMS to scale back some of the policies in the draft version of the regulations. Network adequacy was among the most pressing concerns. Many exchange plans use HMOs or narrow networks of hospitals and doctors as a way to keep premiums lower, which most consumers say is at the top of their minds. However, regulators and consumers were concerned that the plans overly restricted where patients could go to receive care. The agency proposed that all ACA plans on the federal exchange in 2017 be required to have networks in which hospitals and doctors were within certain travel times or distances from members. Some medical specialties, under the proposal, were to have minimum provider-to-member ratios to ensure patients had enough access to care. Hospitals, physician groups and consumer groups cheered the CMS' proposal, though some argued for more specific network adequacy standards. But it was departure from the state-by-state approach endorsed by the National Association of Insurance Commissioners. Integrated systems and large insurers also disapproved of the proposal, saying it would raise their costs and consumers would end up paying higher premiums. Another major proposal that drew industry flak was instituting so-called “standardized options” for health plans. The government wants to make shopping on the exchanges as easy as possible for consumers and turned to a policy that has been used in some state-based exchanges. Standardized options basically require health plans in each metal tier to have the same levels of basic benefits to make comparison shopping simpler. For example, all bronze offerings would have a $6,650 annual deductible. Deductibles and cost-sharing limits for silver plans would depend on if the consumer qualifies for the ACA's cost-sharing reductions. The optional standardized plans could be attractive to consumers who crave simplicity in their health insurance shopping. But without a mandate, it's uncertain how many of those plans will be offered next year. The CMS finalized a broad array of other measures. Starting for the 2017 insurance season, all changes to premiums—increases and decreases—will be publicly posted for consumers to see. Most insurers opposed those moves on the grounds that it would confuse people and undermine competition. But the final rule sides with other stakeholders who have argued for more transparency during the opaque rate-setting process. The rule also addresses the surprise medical bills that patients see when an out-of-network doctor involved in their care at an in-network hospital bills them for the balance not covered by their insurer. Starting with 2018 plans, the CMS said, all services provided by an “out-of-network ancillary provider in an in-network facility” will go toward the member's in-network annual cost-sharing limit. However, the provision does nothing to prohibit balance billing, and the CMS still defers to states that have more stringent laws that tackle surprise bills. “Our intent in establishing this policy beginning for the 2018 benefit year is to permit us to monitor ongoing efforts by issuers and providers to address the complex issue of surprise out-of-network cost sharing at in-network facilities across all CMS programs in a holistic manner, and amend our policy in the future to accommodate progress on this issue, if warranted,” the CMS said. The final rule also builds on recent changes to how people can buy coverage outside of open enrollment. Last week, the CMS tightened up the circumstances when people are allowed to buy coverage outside of open enrollment. Insurers complained that people were gaming the system by waiting until they were sick to sign up for coverage outside of open enrollment, although there's little evidence of actual abuse. The CMS now mandates that special enrollees provide hard documentation of their triggering events, including the birth or adoption of a child, marriage, moving and losing employer coverage. Other provisions include some tinkering to the ACA's risk-adjustment model that compensates plans depending on how costly their members are. America's Health Insurance Plans, the lobbying group for health insurers, said it is still reviewing the final document, but some of the reversals from the draft rule are likely to boost the industry. “While CMS is taking some positive steps to provide greater stability for the exchanges in 2017, we must stay focused on policies and solutions that promote choice and affordability for consumers in the future,” Matthew Eyles, AHIP's executive vice president of policy and regulatory affairs, said in a statement. Families USA, a group that supports President Barack Obama and the ACA, said the rule was “good but could be better for consumers.” It applauded the option of standardized plans but was “very disappointed” that the CMS didn't stick with the time and distance standards for provider networks. The next open enrollment for the ACA's insurance marketplaces, according to the rule, will run from Nov. 1 through Jan. 31, 2017—the same as it was for 2016 plans. Those dates will also hold true for the 2018 benefit year. Starting with the 2019 signup period, however, the CMS will shorten open enrollment to Nov. 1 through Dec. 15.